phy is a band who's music is not easy to catagorize, even experienced listeners have problems placing them in a specific musical genre. Melodic, melancholic, complex minimalism are definitions that have been used on the -phy sound. 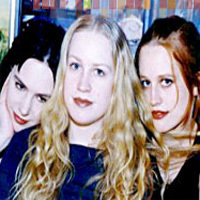 Ingrid and Vigdis started up in 95 with an instrument course trough a female music organization called AKKS. After the course they decided to start a band, but they needed a bassplayer. They met Ellen at the bar and she told that she had learned to playthe bass from a Clawfinger member. They all moved in to a big house they called CasA PhY. And what does -phy mean? 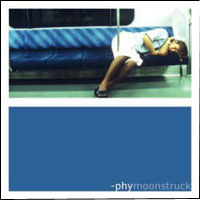 Think of words like philoso-phy and you'll come up with more... .
listening to "moonstruck" and we stayed up until the day was dawning, playing their songs again and again.